House Democratic Leader Nancy Pelosi (D-CA) and Incoming House Rules Chairman Rep. Jim McGovern (D-MA) proposed the change along with Rep.-elect Ilhan Omar (D-MN), a Muslim woman who wears a religious headscarf. A House rule in place since 1837 states that hats of any kind are banned from the House floor. But at least one federal lawmaker tried to challenge the hat ban before 2018. In 2010, Rep. Frederica Wilson (D-FL), a lawmaker known for wearing colorful cowboy hats, unsuccessfully tried to convince her House colleagues to get rid of the hat ban. 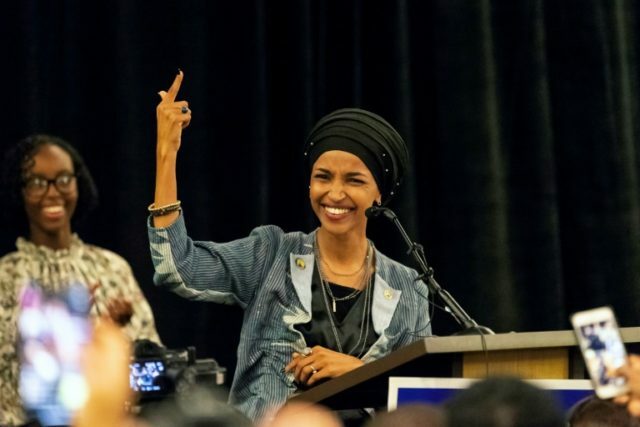 When Omar is sworn into Congress in January, she will become the first Somali-American in Congress. If the House Democrats’ proposed rule change goes through, she would be the first federal lawmaker to wear a religious headscarf while on the House floor.